Dimensions 1.25 by 8.50 by 10.50 in. Agincourt, Battle of, Agincourt, France, 1415. Published in partnership with the Royal Armouries, this comprehensive, sumptuously illustrated volume provides a defining reassessment of EnglandÃ¢ÂÂs legendary victory on the fields of Agincourt on October 25, 1415. Dramatized by William Shakespeare in Henry V, the Battle of Agincourt changed the course of the Hundred Years War and BritainÃ¢ÂÂs relationship with her longtime enemy, France. In a remarkable work commemorating the 600th anniversary of arguably the most iconic military engagement of the medieval era, a wide range of experts examine the battle in its political, cultural, and geographical contexts, detailing strategies, tactics, armor, weapons, and fighting techniques while exploring the battlefield experiences of commanders and ordinary soldiers alike. In addition, this all-encompassing study offers deep analyses of many artifacts and aspects of the battle and its aftermath that have rarely been covered in other histories, including medicine and hygiene, the roles of faith and chivalry, the music of the times, and the experiences of women. 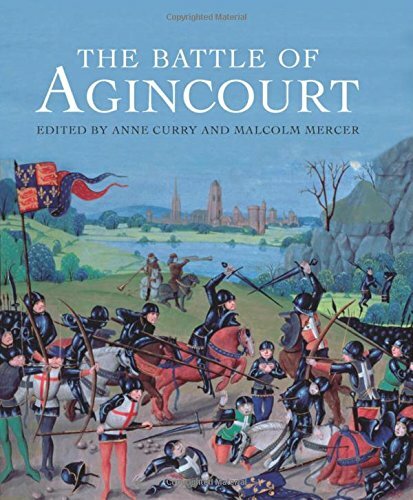 About: Published in partnership with the Royal Armouries, this comprehensive, sumptuously illustrated volume provides a defining reassessment of Englandâs legendary victory on the fields of Agincourt on October 25, 1415. With Anne Curry (other contributor), Bil Keane | Reissue edition from Fawcett Books (August 1, 1990); titled "Dolly Hit Me Back"
About: Will be shipped from US.